Hi, Firstly may I introduce myself. My name is Alan Wickes and back in the very early 1980s I ran a small body repair shop, accident repairs, resprays etc, and through one of my customers I was introduced to Alan Hart. His real enthusiasm at that time was for Triumph motor cars but had just purchased a Porsche 911rs lightweight which I went on to restore for him and our friendship grew from that. Probably around twelve months later he told me of an opportunity he had of purchasing a Stag fastback that may require a little work! Well he couldn’t resist and duly brought it round for me to assess. Alan was such a nice guy I did not want to let him down. I worked as a one man band and had other work on the go so we agreed it would be on an ‘as and when’ basis. I explained to Alan that to make a proper assessment the paint must be removed to expose what was lurking beneath. He agreed and the paint was removed…… and what a can of worms!…..was I out of my depth here. ?…poor me …what had I let myself in for. Little did I know that three years of anguish lay ahead. From then on piece by piece, panel by panel was cut away until a stripped out shell sat forlornly on axle stands in the corner of my workshop. I have to admit that without Alan’s undying enthusiasm and support I do not think I could have seen it through to the end. 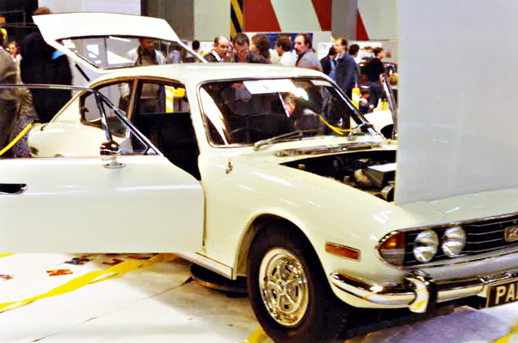 Accident repair work was my passion at that time, I always gained great satisfaction from looking at the end result knowing that you could not tell if it had ever been damaged, and all in a relatively short time. Now I was out of my comfort zone. Cutting away rust to find more rust just did not do it for me. I had made a deal with Alan and was determined to stick with it. Progress was painfully slow and I still had other obligations. Back on the Stag again and time to start on the doors. Having previously stripped all the paint off it was plain to see that both door lower corners had rotted clean through. Normal circumstances would dictate new door skins, but here again we wanted to keep to the original as much as possible. I cut triangular sections from both corners, fabricated matching pieces and with the help of my newly acquired state of the art flange tool welded them in. Success, I was gaining in confidence by this time. Unfortunately, just as I was getting back into it again other work called me away and it would be several weeks before I would be back on it again. Anyone who has ever been involved in body and paint will know how labour intensive it all can be. I wanted to be sure that any patches I welded in would last a good few years so lead loading would be called for. Fortunately I had done a little before! I was taught how to lead load from a skilled hand who worked at Jaguar cars lead loading E types all day! I never got to match his skill level but what I learned got me by. Putting it on was OK but filing it down and sanding to a reasonable finish seemed to take forever. 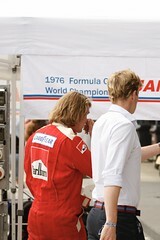 In the meantime Alan was busy behind the scenes sourcing various parts. A major problem was that the windscreen had a large crack in it and that none of the large glass manufacturers had any drawings or records of it ever being made. Never one to shy away from a problem he managed to persuade one of them to haul it through their stock to see if they could find one that matched the profile of the fastback screen, Well they did! A VW Variant 412 if my memory serves me well. All that was needed was a bit of trimming from the corners and it was perfect. 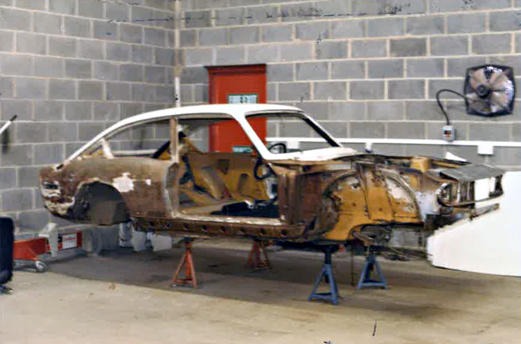 After another few weeks away I was back on and determined to get the bodyshell ready for paint but I decided for some reason to deviate from that and started chiseling away at the old paint under the front footwells…….disaster, parts of the footwell on both sides just crumbled away. Another week fashioning and welding in repair panels. Now it was ready for its first coat of paint. One coat of etch primer followed by four coats of high build primer and finishing with a guide coat. Boy did it look good after so long.! I treated myself to a cup of tea and something stronger later……..a milestone had been reached. This was a time before low bake ovens, two pack enamels and lacquer, so at least a few days were needed for it to settle and harden before any wet-flatting could be done. It took a whole day to wet-flat the body and apply two coats of light primer surfacer. I left it to stand for another day before a final nib and spirit wipe. Now after all this time it was ready for its final colour coats. The paint I used back then was cellulose, ICI no less, the paint of the day. It took most of the day to apply three coats plus one final heavy coat giving a fairly nice gloss finish, nowhere near the finish you can get with basecoat and lacquers of today. You needed time between coats making it a lengthy process. All the mechanical parts Alan took away to be refurbished were, as if by magic, reappearing. Now was the time to get it back on its wheels. Everything was ready. All the parts had been shot blasted reconditioned and painted, it all looked new. The brand new stainless exhaust system looked stunning. After a few days it was assembled and back standing on its wheels for the first time for over two years. A week or so later the engine that had been rebuilt by Geoff Poyner from Cheltenham was back and refitted over one weekend. I came back in on a Monday morning to find a note with some instructions asking me to finish off a few items and then fire it up!! Well with great trepidation I did. It sprang into life first time, it sounded wonderful. After it had warmed up there was just a small leak from a hose,this I duly tightened and that was it. Alan was round in a flash and I am sure I saw a tear in his eye. Who could blame him! Now I could see light at the end of the tunnel. Alan was now bringing parts back that I had not seen for over 18 months. He must have been storing them up and holding them back so as not to appear pushy. I am sure he sensed I had become a little stressed with it all. 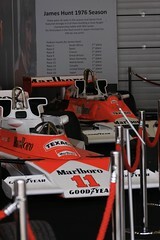 I remember the front and rear bumpers were in a sorry state, rusted through in places. He found someone to weld in plates and re-chrome them, they were just like new. Before I could rebuild with all the new and refurbished parts I had to de-nib the paint and polish using cutting paste and electric polisher with lambswool mop head. Cellulose paint requires a lot of work to attain a good gloss finish. A final wipe over with a damp cloth then a buff with a new lambswool mop to remove any swirl marks. This process took a whole day! One last determined effort was needed now to finish the job. No more interruptions, just press on. Fortunately during this period a lot of my other work dried up somewhat and so little by little it all started coming together. That windscreen by the way, fitted perfectly. I thought to myself, do not crack this one putting it in, but what a relief! The following four weeks were devoted entirely to reassembly. Waxoil was sprayed in all the cavities before all the interior trims were fitted back. One more day of cleaning and a wax polish and for me it was over. I think we were both a little emotional the day he came to collect it . A friend of Alan came with him to take some pictures of the handover and I was presented with a bottle of bubbly. That was it, three years on and off to completion. 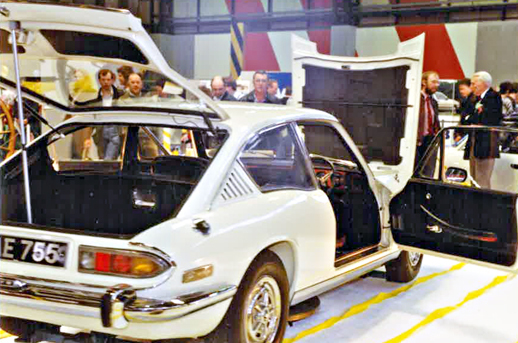 The Stag Fastback was displayed at a classic car show at the N.E.C. and that was the last time I saw it in the flesh. I take my hat off to all you Stag owners out there doing the same, I sort of know what you are going through! Well I hope my story will be of some interest to you. This is the first time I have ever done anything like this so you will have to let me know what you think. 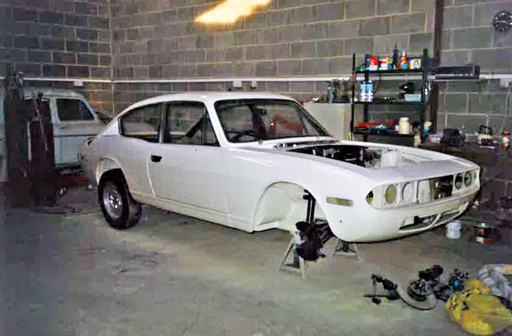 If you have anything you wish to ask about any other aspect of the restoration please do not hesitate to ask – just post a question on this blog.